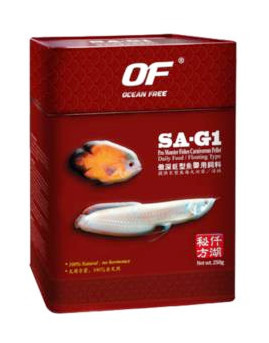 SA-G1 Monster Fish sticks�are the latest technological breakthrough in fish nutrition for big predatory fish. Predatory fish have very high protein and calcium intake demand especially when they are at the juvenile stage. This is because these carnivorous giants need to grow rapidly when young in order not to be eaten by other predators.